The holidays are a time to gather, celebrate and make memories, but the holidays can also be a stressful time. Many people struggle with family, money worries and other stressors. And if you are struggling with an addiction, the holidays can be particularly difficult. 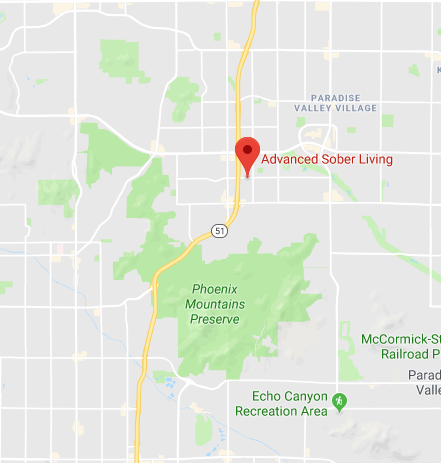 At Advanced Sober Living in Phoenix, AZ, we often have individuals coming to us asking how they can avoid a relapse during the holiday season. The best thing you can do is to have a plan. Identifying what challenges you may face during the holidays and preparing for those challenges ahead of time can make all the difference. Here are a few things you can keep in mind to avoid a holiday relapse. If you know you will be entering a situation that may tempt you to relapse, it’s a good idea to have a sponsor, friend or family member who can be with you and help support you. Be sure that you are able to leave a difficult situation if necessary. Another good idea is to plan a call to someone in your recovery team or attend a recovery meeting before and/or after an event or situation that you think may be difficult. Joy, nostalgia, anxiety and a host of other emotions come with the holidays. It’s important that you do a holiday reality check-in with yourself and your sponsor or counselor. Think about what your expectations are for the holidays, and think critically about those expectations, remembering that nothing is ever perfect and most people have less-than-great moments during the holiday season. Focusing on others helps us to heal and focus our thoughts and energies outward, rather than allowing ourselves to get lost in our own worries and concerns. Volunteering and finding ways to serve others during the holidays can be a great way to stay present and focused on feelings of gratitude and joy. It’s important during the holidays that you also take time to focus on self-care. Proper nutrition, staying hydrated, exercising and getting enough sleep can help ensure that you are at your best physically, emotionally and mentally. During the holidays, it’s easy for someone to offer you a drink or to mix something for you, or to feel pressured into drinking in certain social situations, such as during a dinner toast. It’s okay to say no in these situations. Make an effort to get your own beverage or opt for a non-alcoholic drink during the toast. By following these tips and having an action plan, you can avoid a relapse this holiday season. Don’t forget to ask for help if you need it. At Advanced Sober Living in Phoenix, AZ, we are always here to support you.